Digital Rights Management is a vital requirement for the distribution of premium content. But with multiple platforms and devices to reach, as well as the move to phase out DRM plugins on certain browsers a single DRM solution just doesn’t cut it anymore. Managing this fragmentation could be a major headache. But thankfully there’s Piksel Guard: the multi-DRM product that supports the major DRM technologies including Widevine Modular DRM, and fully supports all main video formats, standards, and distribution technologies. This is big news if you are a content creator or service provider with premium video content and are at risk of losing revenue and market share due to piracy or you want to avoid having device or browser restrictions affect content playback for your users. Piksel Guard is the one solution that enables future-proofed and seamless protection for multiscreen video delivery. 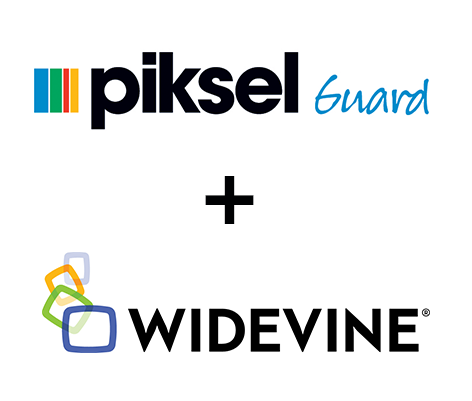 Piksel Guard multi-DRM solution supports Google Widevine Modular DRM, Microsoft PlayReady, Apple AES-128, and Marlin Broadband, plus future-proofed technologies such as MPEG-DASH and CENC. What does your DRM technology support? Download the Piksel Guard brochure to learn more of its robust capabilities or join our webinar next Thursday, March 12 at 10AM ET / 3PM GMT to hear from Piksel’s DRM experts and ask your own questions.